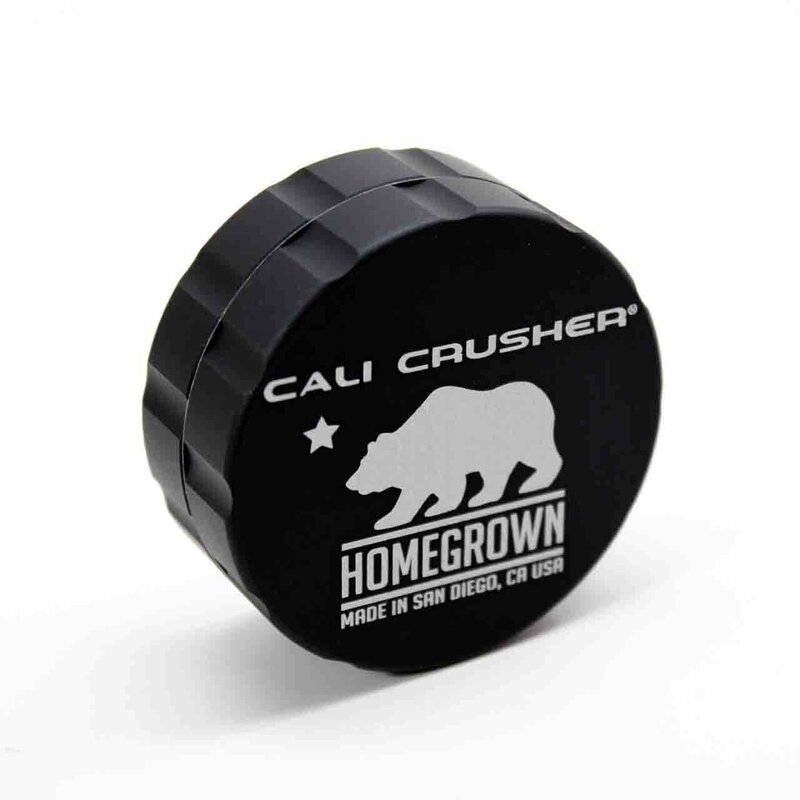 The Homegrown series of grinders from Cali Crusher are proudly CNC machined in California from 6061-T6 Aerospace grade aluminum for the utmost maximum durability and longevity. 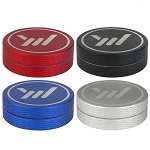 After being precision milled from a solid block of aluminum this grinder goes through an ultra sonic cleansing process that completely rids the grinder of any impurities that were formed during the manufacturing process, leaving you with a true medical grade tool. 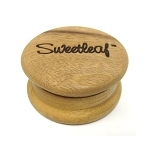 Grooved edges provide users with a superior grip that allows you to shred through a fully packed chamber of herbs with little to no torque required, the radial tooth design does all of the work for you. An improved tooth layout creates a larger load capacity, giving you the opportunity to grind a substantial amount of herbs at any given time. 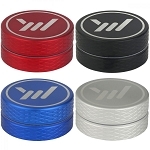 The 2 Part Standard Size Cali Crusher Grinder measures in at just around 2.35" wide (About 60mm) by 1" tall and it is backed by a lifetime guarantee to never dull or lose teeth.